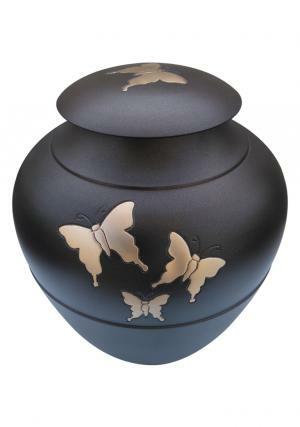 Golden Flying butterfly adult brown urn, a good sized adult ashes large urn designed from superior quality of brass metal with high quality enamel finish. 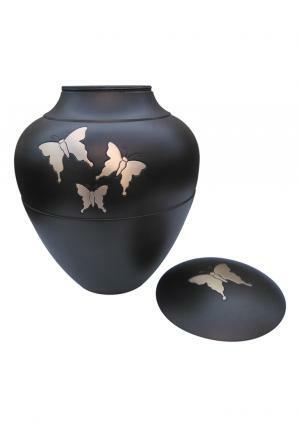 The adult ashes golden flying butterfly urn has a dark coloring in brown coated well with smooth finishing and printed golden butterflies represent the hand work of highly skilled technicians. Body of the urn is unique in nature with narrowed bottom and enlarged centre rings. 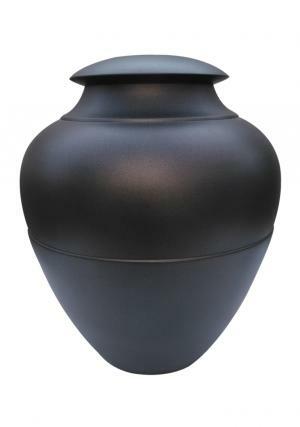 Brass metal brown urn is placed with lid on top to cover the closure of ashes and lid is well decorated as semi spaced pebble top curved of threaded screw in great edge looks to secure the ashes of the adult human ashes. 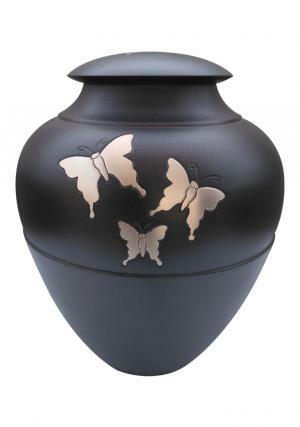 The Golden flying butterfly adult brown urn is highly decorative filled adult ashes urn for interior with dimensions as 8.66 inch height, 7.09 inches in length and width. 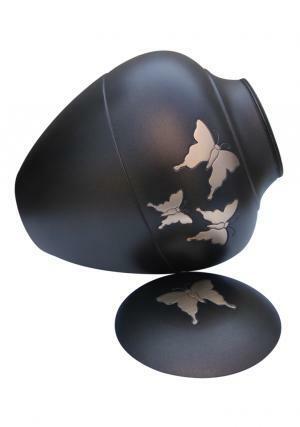 The adult human ashes butterfly decorated urn is used to preserve approximately 200 cubic inch of ashes and weighs 2.11 Kg when empty.